Financial service organizations such as banks, credit unions, insurance and asset management companies must adhere to stringent regulations. Global firms must be able to ensure compliance while maintaining a competitive edge. High merger and acquisition (M&A) activity in recent years requires financial organizations to react quickly to train newly gained employees. 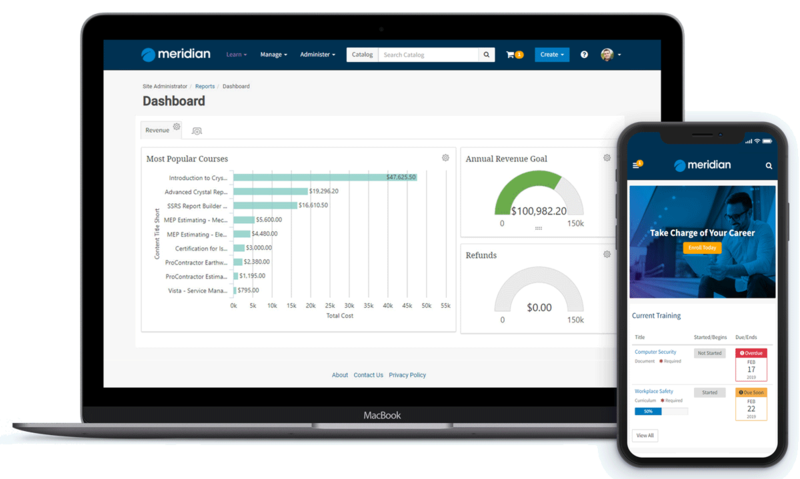 *per Sandler O’Neill + Partners, L.P.
Meridian learning management system also supports training created for learners across your ecosystem, such as partners and customers.